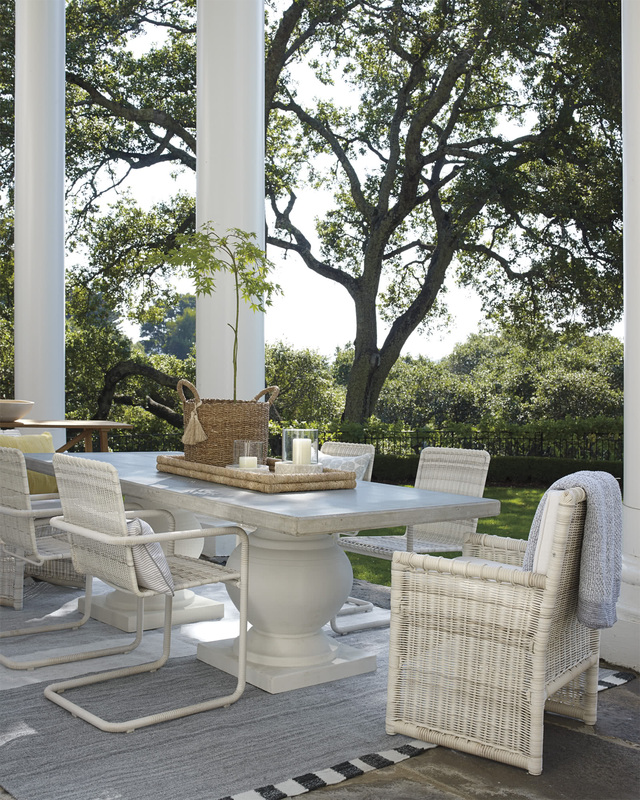 Terrace Dining TableTerrace Dining Table, Fog/White alt="Terrace Dining Table, Fog/White"
Print Our pedestal table is perfectly at home on a terrace or in the dining room. Pair the pedestals with a coordinating top for a classic monochromatic look, or go for contrast to keep things interesting. Either way, these pieces make a dramatic statement. The slab-style surface adds a modern touch to the more traditional lines. 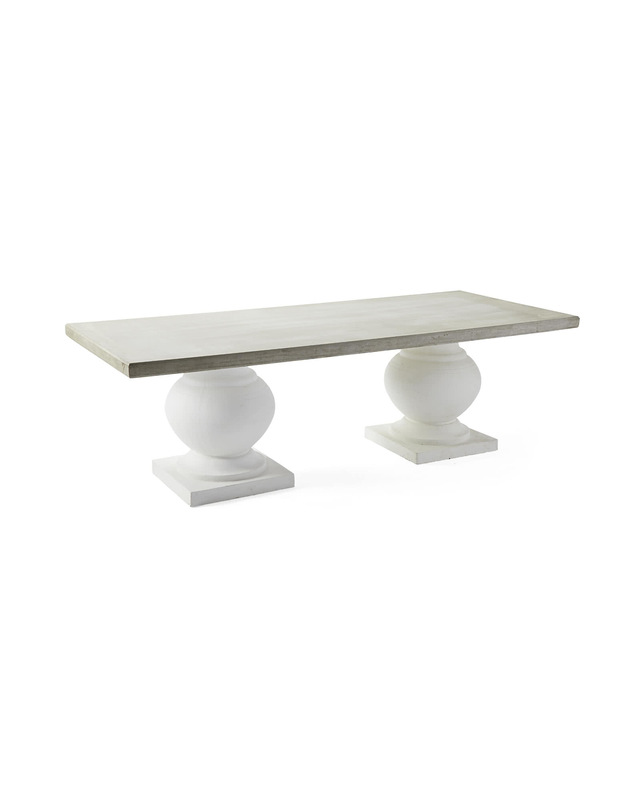 Artfully shaped from reconstituted stone, with subtle imperfections that lend the lived-in look of well-loved pieces. 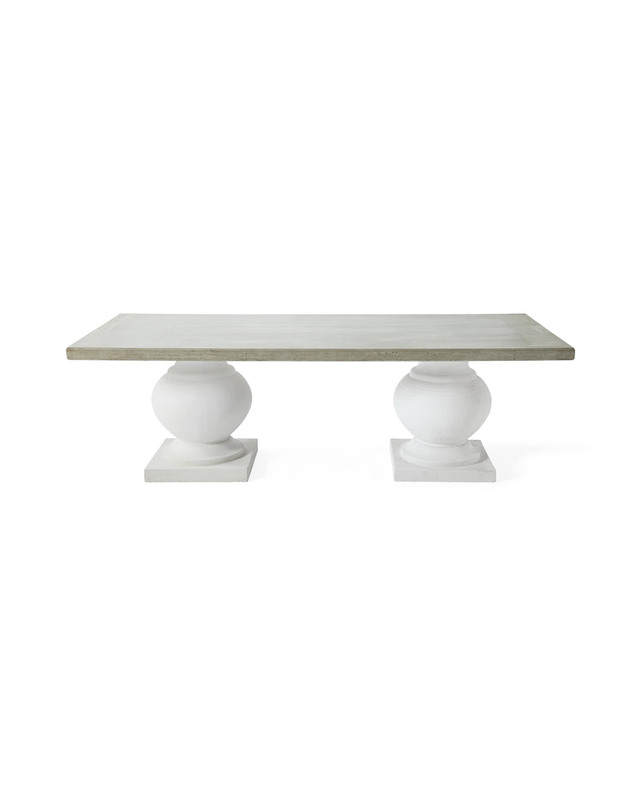 Base and top are made of reconstituted stone. 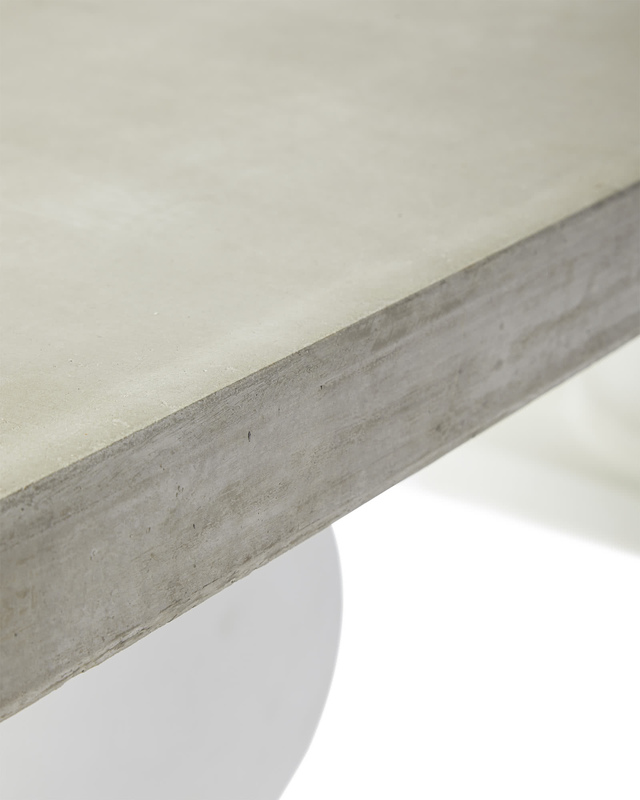 Non-structural hairline cracks may occur in the making of this table, lending the look of natural, beautifully aged stone. Such cracks will not impact the table’s integrity. Reconstituted stone will patina beautifully over time. 94.5"W x 41.5”D x 31.5”H Overall. Base: 20.75" DIAM x 29"H.